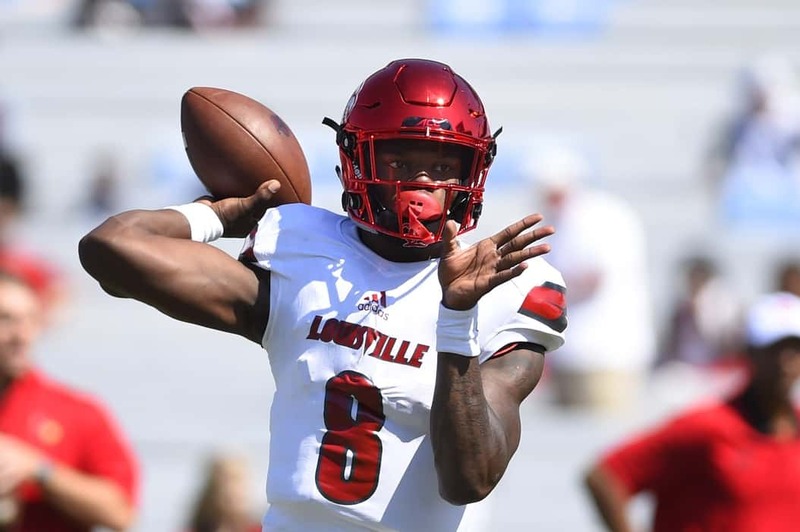 Lamar Jackson has been somewhat of a forgotten man as most reports about the top quarterbacks in this year’s draft center around Josh Rosen, Josh Allen, Sam Darnold and Baker Mayfield. But now, just a couple of weeks away from the draft itself, Jackson is gaining steam as a first-round pick, and a couple of very good teams have reported interest in his services. One report on Wednesday indicates the Los Angeles Chargers have “legitimate serious interest” in Jackson. Another report, by Mike Freeman of Bleacher Report, suggests Jackson’s stock is rising, and that the New England Patriots are the team showing the most interest in the Louisville product and Heisman Trophy winner. Obviously, if both Los Angeles and New England are interested in Jackson, the Chargers are in the driver’s seat to land him, owning the No. 17 overall pick. However, thanks to the deal that sent Brandin Cooks to the Los Angeles Rams, the Patriots have the draft capital to move up for a quarterback. So, if they really do covet Jackson, it seems like a logical move to make such a move, especially now that Tom Brady is going to be 41 when the 2018 NFL season kicks off.